I once went to a seminar that was entirely about timezones. It was fascinating, riveting. We talked about it for an hour and a half. The seminar wasn’t long enough. 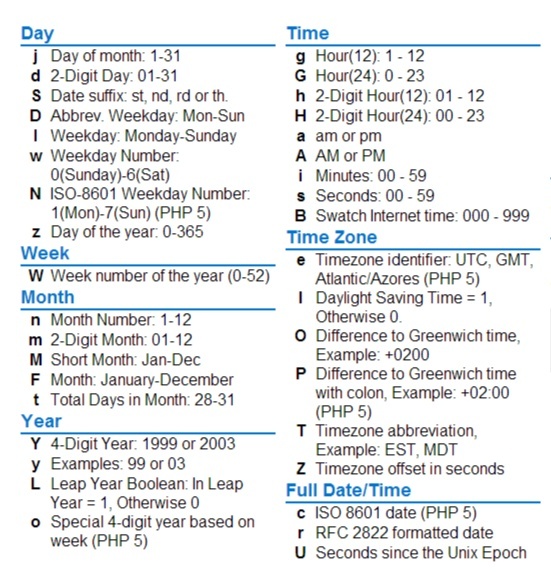 Timezones are an extremely complicated, twisted topic to deal with in programming. This video lays out a little bit of why that is. HTML entities are symbols that can be used throughout HTML that are identified by a special character reference, beginning with an ampersand (&) and ending with a semi-colon. These characters often are uncommon characters that cannot be found on a keyboard, or need to be escaped in HTML. The ampersand itself, for example, can be expressed as &: &amp;. Another example might be a fraction, ½: &frac12;. I recently published amp-what.com. I created it to solve a problem I have: trying to remember (or google) character entity numbers or names. For example, our last project used the entity » (»). Try googling this if you don’t remember the name! Now, with this tool, I can just type “>>” and the character, symbol and number appear. It turned out to be surprisingly fun to play with. I discovered chess pieces,planet symbols, all sorts of boxes. There are a surprising number of icons to play with. What have you found that surprise you? I initially sourced the tool with the standard 100 or so entities from W3C. Then I supplemented this with 10,000 interesting Unicode characters, and a nice set of entity synonyms from Remy Sharp (whose site is solving the same problem). Seeing that people were sometimes getting no results, I pulled in an internet jargon file for non-conventional names, and supplemented myself, by manually coding them. I am interested in adding more, but want to keep it “offline friendly”, which means not too large. 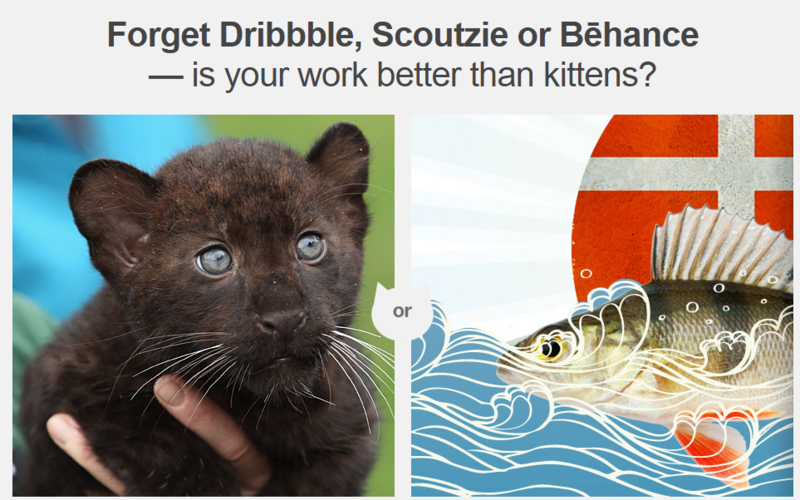 Sure, you’re a talented artist, but can your work compete with the most powerful images on the internet… kittens? Such is the gauntlet that all true designers must pass through at http://www.betterthankittens.com/. 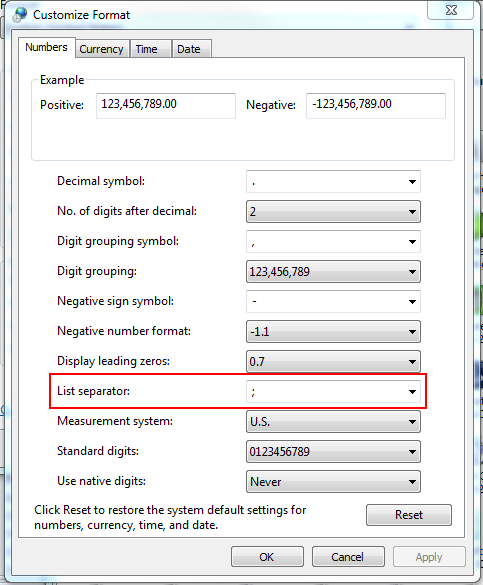 Change the List Separator value to the appropriate delimiter. One solution that I use regularly is to keep this helpful tool in my bookmarks bar to quickly build exactly what I need for a date format.